Author page for T. Vail Palmer Jr.
By the beginning of the nineteenth century, the effort to keep outside influences from impacting Quaker spirituality was clearly failing. Many Friends were impressed by the Enlightenment emphasis on reason in religion and commitment to religious and political freedom. Many others were caught up in Evangelical enthusiasm and commitment to social justice. The result was a series of separations and divisions—Quakers disagreed about the nature of God, the atonement, and the function of scripture. A long, rocky, even muddy road. This is not the first time the story has been told. We find in the contemporary splits of one yearly meeting after another, the underlying issues are the same as they have always been. After all, the story of Quakerism is a story of divisions. It is also a story of creativity. And of hope. 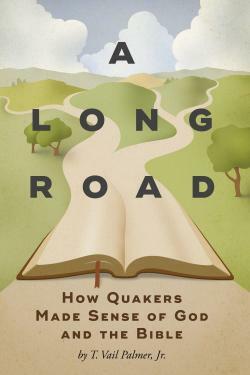 Significant, original contributions by Quaker scholars to our understanding of the Bible suggest that there has always been tremendous vitality at the heart of Quakerism—a vitality that supports the claim that the Quaker vision is indeed a restoration of the earliest Christian vision.